I guess I have to thank Elle McPherson: Australian 6-feet "the Body" supermodel of the 80s, whose signature fragrance has loyally been the masculine Vétiver by Guerlain. It makes sense: anything more traditionally feminine on that gorgeous specimen of Amazonesque womanhood and she'd burst! Prompted by this unrealistic image, beknownst to me via religious leafing through British Vogue and French Elle editions, my teenager feet brought me before a Guerlain counter where I was spoilt for choice ~and in retrospect treated like a mature woman instead of a girl: Shalimar ("soft powder" the matronly but kindly sales assistant purred), L'Heure Bleue ("wistful flowers" she daydreamed), Mitsouko (I didn't need any coaxing on that one; I knew it well from my mother's dresser) and...off my hand went and grabbed the Vétiver tester. "That's for men, honey!" she gently admonished. And yet, why shouldn't I make it my own, like Elle had? The day was hot, school was out and I was determined to treat myself. Thus Vétiver and I became friends. For life. Historically Vétiver was first created for the Mexico market, one of the biggest consumers of Guerlain's "Vetiver extrait". However Carven's strikingly fresh Vetiver (1957), already a huge success and the inspiration of the green packaging behind subsequent vetiver scents, prompted director Jean-Pierre Guerlain to modernize their own formula for larger distribution; especially since the house hadn't produced a true masculine since the days of their Eaux de Cologne, Jicky and Mouchoir de Monsieur. The commission was undertaken by his then 22-year-old nephew Jean-Paul. He focused on "the smell of the gardener" as a source of inspiration: outdoorsmen, their presence evoking the warmth of the earth with the freshness and vitality of nature, marrying tobacco to vetiver root. If Givenchy's Vétyver is one of serene and self-assured patrician crepuscular composure, Guerlain's Vétiver is a bright day's morning optimism when anything seems achievable. Its vibrant, upbeat character with a citrusy edge helped made it a huge success, while Givenchy's languished, thus earning Guerlain yet another slot in the Pantheon of Greats. Vétiver by Guerlain starts with a crisp citrusy accord that sustains itself for about 15 minutes, like ice crushed between jaws feels tingling the back of one's neck in the heat of August; or an hesperidic cologne with soft musks, fresh out from the fridge, sprayed on hot skin, creating goosepumps. Haitian vetiver is very complimentary to the lemony notes, rendering them ever so slightly soapy. Technically classified in the Woods family by Michael Edwards, it soon proves why. The cascade of spicy, slightly bitter notes dominating is delightfully refreshing and addictive. As it puffs on a Romeo y Julietta, a bittersweet tobacco note emerges,rounding out the edges and providing the assurance of one's beloved dad in the days when he was a dynamic and suave young man, taking you in his arms for a goodnight kiss. Or another of its famous fans: Andy Garcia in his heyday, Cuban tobacco trailing off. Vétiver is a comparatively light scent, compared to mustier, earthier renditions of the material, which however lasts well. Despite Guerlain's claim to keeping the composition of Vétiver unaltered, my vintage from the 80s, in its squat square bottle similar to Habit Rouge, but with a deep forest green label (the label became more bottle-green in the 90s), points to a smokier and sweeter ambience with a rounder feel to it. It's thus more comforting and more insinuating, like what one imagines Lady Chatterley's Lover to be smelling of after working on a warm day, although the current version is also excellent, if rather drier and crisper. Vetiver relaunched in 2000 with a new packaging and half clear/half frosted glass bottle (designed by Robert Granai) and more acid green juice rather than straw-coloured, which might indicate a slight tampering with the formula. In 2000 a special edition was incorporated in Les Parisiennes lineup in a 500ml bee bottle for Boutique Guerlain, 68 Champs Elysées, Paris. Notes for Vétiver Guerlain: orange, bergamot, lemon, neroli, pepper, nutmeg, coriander, capsicum, vetiver, cedar, tobacco, tonka bean. Vétiver Pour Elle by Jean Paul Guerlain, on the other hand, a feminine twist on the classic formula, was issued initially as a limited travel exclusive for people taking flight off Paris airports or railway stations, as a memento of their stay in the City of Light. It was encased in a bottle reminiscent of Mitsouko and L'Heure Bleue (with the cap an upside down heart). The story behind Vétiver pour Elle is that women had been usurping the masculine fragrance from their men and were always nagging Jean Paul to create something comparable for them, so he finally did! Whether that is the truth or whether Guerlain saw the untapped pool of exclusivity afficionados who have become more vocal and more visible due to the Internet is food for thought. In any case the fragrance is lovely and perhaps this proves their marketing radar is razor sharp: the furore around it resulted in its joining Les Parisiennes at the Guerlain Boutique, in the particular bee bottles of the line, as a permanent fixture. Drawing upon the quiet tenderness of his superb Chant d'Arômes, Jean Paul Guerlain added a soft garland of fresh, green jasmine along with subtler, clean notes of lily of the valley and orange blossom and musks, to circumvent the tobacco backdrop of Vétiver for an added feminine touch, while the skeleton of bergamot, nutmeg and vetiver roots is kept intact in its classical, almost chyprish beauty. The result seems unisex like the enigmatic smile of a Mona Lisa: is it a woman model than we're seeing or the artist merely masqueraded by feminine wiles? Vétiver pour Elle is currently available in the 125ml bee bottle of Les Parisiennes line and can be bought at the 68 Champs Elysées boutique Guerlain, Paris. Use this conctact for inquiries. 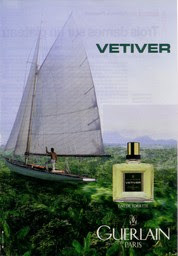 Pic of masculine Vetiver (pour lui) ad with the vintage bottle depicted and of the travel edition bottle of Vetiver pour Elle, courtesy of Parfum de Pub. Pic of Elle McPherson via Cinema-stars.com. 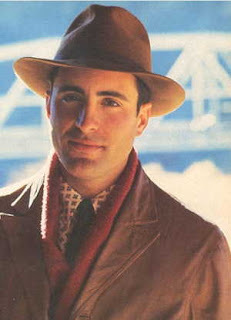 Pic of Andy Garcia from the film "The Untouchables", via Geocities. looks like I'm the first to post. Lovely article on the Guerlain Vétivers. I'm particularly fond of Vétiver Pour Elle (of which I've only sniffed a little, from a tiny sample someone gave me). I wish that it were available more widely. While certainly floral, transparent, and sparkling in composition, it doesn't necessarily strike me as "feminine" or "girly." Ahh, Vetiver by Guerlain the first vetiver I fell in love with and the first Guerlain to smell good on me and now appears that the last bottle I had was an older version than the new re-issued one, and I love the tobacco I get in this. I got ton of compliments when I wore this co-workers, friends, and my boyfriend. Funny you should mention the Mexican market, my boyfriend is Mexican and never identified the scent as masculine on me or familiar, where as Sicily reminded him of something from his childhood. 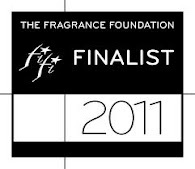 Fabulous reviews and the fragrances are good. I was dismayed to see Vetiver pour elle being a duty-free product alongside all the trashy Guerlain stuff (Colors of Love, With Love etc) while travelling. 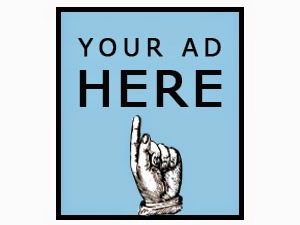 But this new, faux exclusivity is annoying nevertheless. 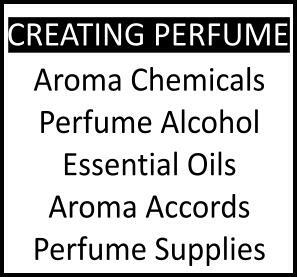 I am very excited about this new series: I hope you get to review as many vetiver scents as possible! The Barbiesque cartoons on Colours of Love was having me trying to retrieve my jaw from the floor at the duty free as well. But sometimes they bring out good things too: Vetiver pour elle or Vol de Nuit Evasion for example.